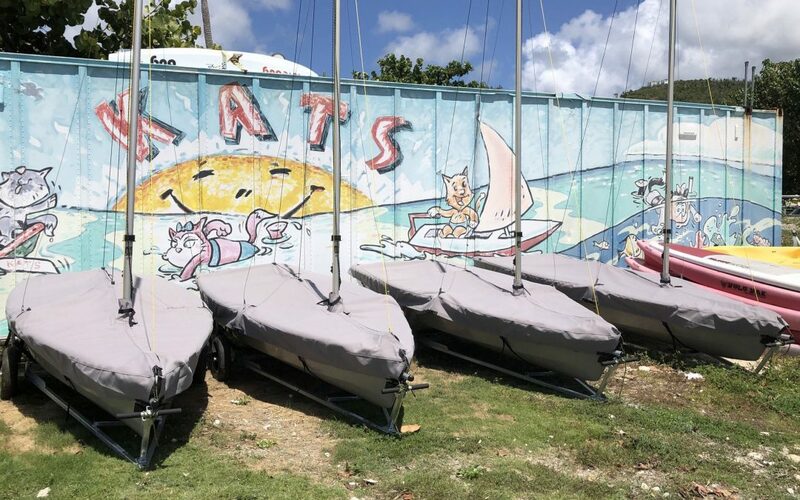 In 2018 the Royal British Virgin Islands Yacht Club (RBVIYC) purchased 4 RS Fevas and we couldn’t be happier. We had a number of objectives when selecting new equipment and the RS Feva ticked far more boxes than any boat of a similar style. The British Virgin Islands were devastated by Hurricanes Irma and Maria in September 2017 and the Royal BVI Yacht Club was no exception. Once a thriving youth programme, we lost over 80% of our boats, equipment and resources and many young people were transferred to schools overseas whilst the islands worked to recover. Going back to the drawing board was essential as we needed to find an affordable product to encourage new sailors, offer advanced sailors a challenge and rejuvenate family interest in sailing at the Club. 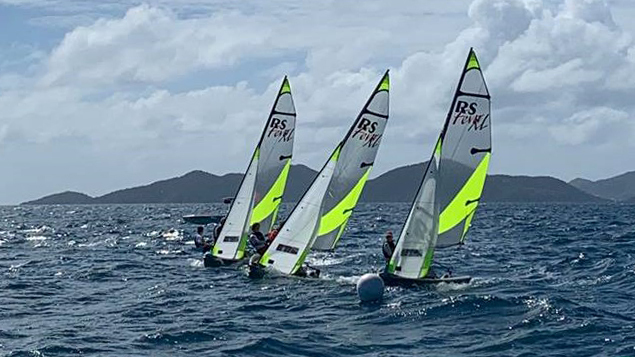 The Caribbean region is heavily dominated by one-person sailboats when it comes to youth racing, but the next step varies greatly throughout the islands. All the ‘traditional’ single-handed pathway boats have their advantages but, for the BVIs, the RS Feva has more. It is light enough to be launched on a sandy beach and is straight forward to rig, with the asymmetric spinnaker offering an optional skill for sailors to learn. With 2 rig options (XL and Club), the same boat is also suitable for beginners and advanced sailors. 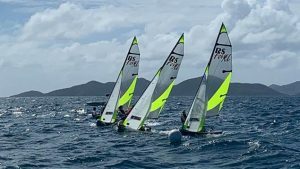 It is fantastic to learn that more and more islands in the region are building fleets of RS Feva boats – the potential for a ‘local’ racing circuit for our sailors to join in with in the future is really exciting, especially now that the Caribbean Sailing Association (CSA) has chosen the RS Feva to be the recognized regional 2-person youth sailboat. Top of the priority list currently is getting people back on the water and, with the purchase of the RS Feva fleet, that is exactly what we have achieved. One of the biggest challenges of any youth sailing programme is balancing the focus between race training and sailing for fun. In the BVIs, the RS Feva is the perfect choice to help address this challenge. Many younger sailors prefer to sail with a friend and so, the Feva makes this is possible, through a programme that is beginner heavy rather than racing dominant. It is no surprise that the kids here at the Club love sailing the RS Fevas but that said, so do the adults! 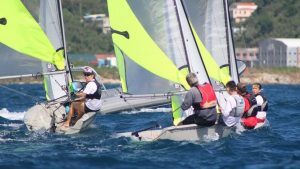 One of the most notable successes of adding the RS Feva fleet to the program has been seeing youngsters sailing and racing with their parents. Another impact of the terrible events that occurred here in 2017 is that the yacht racing scene is now minimal as most of the local boats didn’t survive. The consequence of this is a resurgence in dinghy sailing with the RS Fevas on the water almost every day of the week. It is brilliant to see adults back out there in dinghies and great to be able to provide a new family activity for our members. To sum up the RS Feva, they are super fun and a great addition to sailing in the here in the British Virgin Islands. Come and see for yourself and feel free to come see us when you are next visiting.